A cryptocurrency is an intangible commodity that can be used as a digital asset through a secure digital medium of exchange. By using blockchain technology and cryptography to secure transactions and control the creation of additional currency units, digital currency systems are allowed to grow and shrink based on consensus through digital networks. The cryptocurrency market continues to grow exponentially, and is currently worth about US$150 billion compared to the total amount of money in the world at US$60 trillion. While Bitcoin is still the biggest player, Ethereum, created just two years ago, could overtake it after increasing by nearly 3000 percent in the last year. The blockchain process is the key to cryptocurrencies, with this technology working as a decentralised online ledger that is similar in many ways to peer-to-peer file sharing systems. Blockchain technology works without a central authority such as a bank or stock exchange, which has helped to enable more opportunities for currency growth and comes with greater associated risks. Every node on the network has access to the blockchain, with currency transfers secured by the use of cryptography via public and private keys. Along with the virtual transfer of funds, bitcoin and other digital funds can also be mined to create new currency. Mining involves solving a computationally difficult puzzle to create a new block, with the difficulty of the mining process increasing with the passage of time - a significant deflationary attribute which is backed by a capped supply. If all of this seems scary and confusing, it's important to remember that cryptocurrencies are only slightly more abstract than regular fiat currencies - which also have no intrinsic value and are reliant on the ebbs and flows of currency markets. While there are significant differences between the traditional digital currency in your bank account and cryptocurrencies such as Bitcoin, users of digital currency can still purchase goods and services online, transfer money to family and friends, and withdraw cash to spend in the real world. There is little doubt, however, that the decentralised and unregulated nature of digital currencies make them less immune to major market corrections, a situation fuelled by the shear number of people entering the market. According to BlackRock Strategist Richard Turnill, the current Bitcoin market bears “many characteristics of a bubble” because “there’s no inherent right or wrong” price. 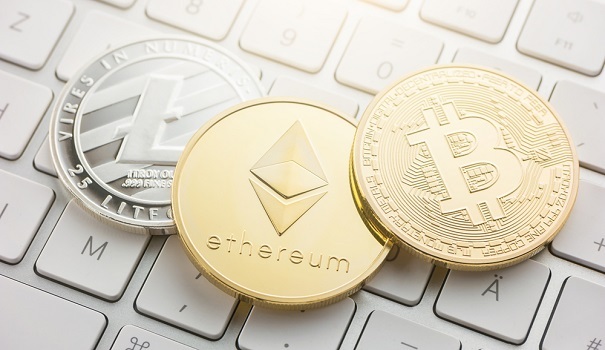 While the same could be said for any currency market, Bitcoin and other cryptocurrencies face additional challenges due to intense volatility, risk of exchange hacking, and blockchain forking due to increased network size. While cryptocurrencies have risen nearly 800 percent in the past year alone, the 30 percent loss experienced by Bitcoin over a single two week period in September is a clear warning sign that huge growth never comes without significant risk.